Doris Colby writes in “Highlights of One Hundred Years”, “The spirit of missions came alive in an unexpected corner of the world, when Mr. T. Devairakkam returned with his wife Victoria and family to the home of his boyhood in Malaysia. Educated in our Velacherie Bording School in India, he was eager to spread the gospel among Tamil speaking Indians. He officially became associated with the A.A.M. Society in 1959. The first church was organized in June, 1960. In December of the next year, Mr. Devairakkam was ordained to the Christian ministry by Dr. Moses C. Crouse” while he was there. 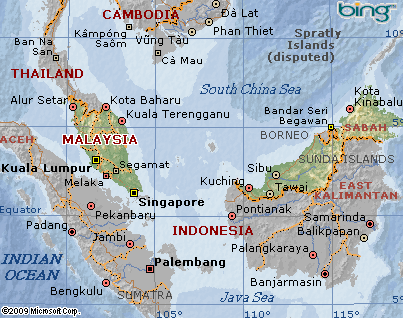 So it came about in May 1959 that the American Advent Mission Society executive board approved the opening of the Advent Christian work in Malaysia under the leadership of Rev. and Mrs. Thambusamy Devairakkam. It began in the town of Rengam, primarily among people from India who had come to Malaysia to work on the rubber plantations. Sewing and Tamil language classes were soon started, and by 1960, services were being held monthly in Kluang. In July 1960, India missionary Marion Damon arrived to spend a month working with the Devairakkams. They organized an Advent Christian church with eleven baptized charter members. Before long, services were being held on 32 estates by gospel teams from the churches and a Women’s Society was formed. Bible classes, children’s and youth programs, and prayer meetings soon blossomed. Three older Devairakkam children were assisting in the services. In 1962, the Rengam church sent Mr. Lucas Devasahayam to began work in the Kluang area until he could go to India for Bible School. A new church was started in Kluang. By the end of the decade, the Advent Christian Conference was registered. In the 1970’s Rev. Lucas Davasahayam organized a church at Banting and Rev. Dorai Raja, started a Bible School in Pandan, Johore Bahru in 1975. In 1976, the first Biennial General Conference of Malaysia was held in Port Dickson. Active churches at the time were Johore Bahru, Kluang, Port Dickson, and Banting, with work in many estates. Relatives of all of these founders have continued the work that was started half a century ago. Also from these early works, one Advent Christian Conference has been established.